White crockery hire with our Monte Carlo china. 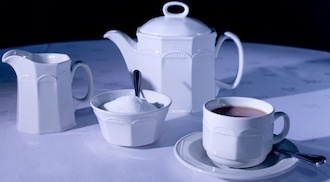 This is our white china range with a traditional embossed pattern around the edge. Blending white china with a more affordable vintage style.